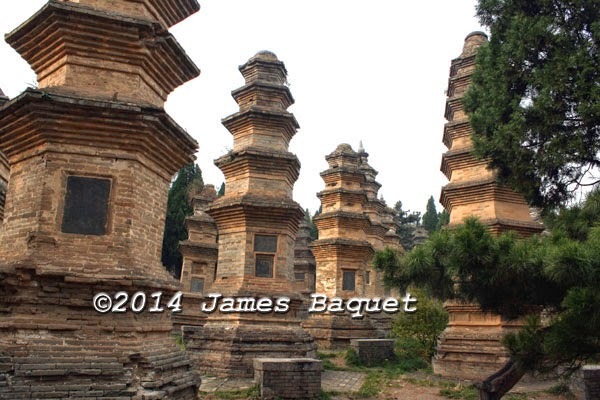 This is a record of my thirteenth trip to visit the 142 Key Temples of China. Links lead to articles on the temple (or other site) named. There is also a FaceBook album of this trip, referenced in each article. You can see the whole album here. A leisurely trip to the airport (after picking up more SD cards) for Lila's and my on-time 1:20pm flight to Zhengzhou, Henan (landed around 3:40). Just missed the 4:00 bus to Luoyang, so waited an hour for the 5:00. Bus ride about 2.5 hours; taxi to hotel, checked in, dinner in hotel dining room. Up around 8, I had breakfast at hotel buffet. We walked toward the bus station (across from train station) looking for brunch for Lila; at the bus station we researched rides, then ate at KFC. A taxi to Baima Temple (1:20-4:05; my #80) (50rmb ticket) where we spent the rest of the day seeing the temple itself and the Qiyun Pagoda (4:05-4:40) next door. We asked a taxi to take us a couple of kilometers further, where I had a quick look at the remains of the Yongning Temple Pagoda (4:55), and then took the same taxi back to the "Today" mall, where we ate at Babela's Kitchen. Taxied home. 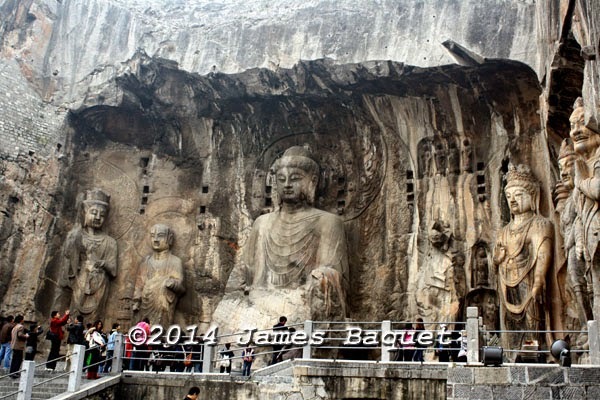 I ate in the buffet again, and we took a taxi to Longmen Grottoes (11:15-3:05). After paying the steep 120rmb entry fee, we had a great day wandering south down the west bank of the river, and back up the other side. The grottoes were stunning, but the new, small Xiangshan Temple (3:05-3:50) was not so exciting. 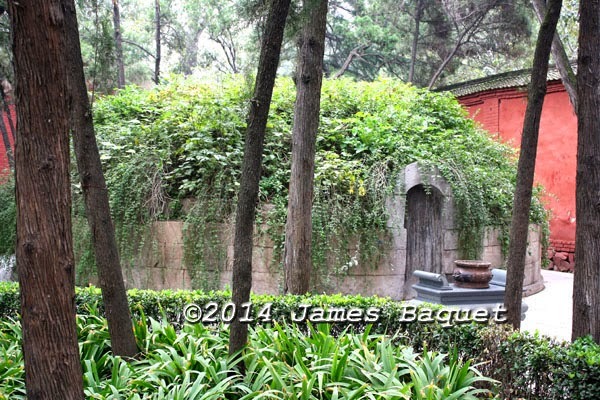 We skipped the Bai Juyi garden (former home of a Tang Dynasty Poet) because of time. After dawdling awhile longer (3:50-4:15) we took a bus and a taxi to Guanlin Miao (4:55-5:25) (ticket 40rmb), which has a burial mound containing the head of the historical and legendary figure Guan Yu. Buses back to Today Mall, where we ate at Pizza Hut, and a taxi home. Buffet for me; taxi to the bus station and bus (about 1 hour 40 minutes, with lots of stops) to Shaolin Temple (11:25-4:05; my #81). 100rmb to get in. The temple was nice enough, but the "Talin" (Pagoda Forest) next door was the best part. To get home we joined a tour bus (5:10-6:30), where we took a taxi to Wanda Plaza for Indian food and an 8:15 viewing of "Rise of the Planet of the Apes." Taxi home. For various reasons we stayed in today, working on trip notes and on picture editing. Highway bus back to Zhengzhou (from a different station) and flight back to Shenzhen (18:50-21:10).